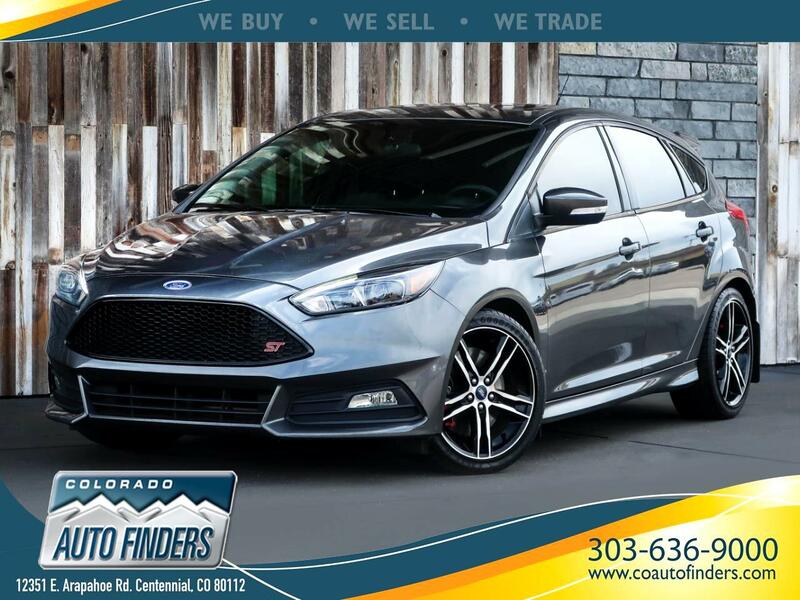 This 2015 Ford Focus ST for sale in Centennial, CO. This Sporty Hatchback has some great features as well as being a blast to drive! Equipped with a 6 Speed Manual Transmission, Leather Recaro Bucket Seats, Backup Camera, Navigation, Heated Seats, Heated Steering Wheel, Sunroof, Bluetooth, Power Seats/Locks/Mirrors/Windows, and Dual Zone Climate Control makes this Hot Hatch a great all around vehicle.